On paper, Izzy Reuss’ diet looks pretty intimidating. Solely plant-based, without a hint of meat, alcohol, or any processed food whatsoever, it seems like it would be an effort to maintain. But on meeting Izzy, her breezy attitude belies this. The afternoon tea Izzy prepares for us is a taster of her nutritious food company My Goodness. Now a thriving business, the company grew out of necessity: “My husband works in the film industry, and he and his colleagues would regularly be on set for 22 hours straight with just crappy food to eat.” She explains, “I started making healthy snacks for them because I couldn’t find anything here in Berlin and I loved doing it! It was a creative outlet.” The healthy treats caused a sensation on set, and after Izzy started giving samples as gifts, demand spiraled until making a living out of her delectable snacks seemed like the natural thing to do. Izzy’s latest project is running the kitchen of a wellness centre, which will be opening in Berlin in the summer of 2016. “The girls that run it got in touch saying they were looking for a kitchen to prepare healthy food, and asked if I would be interested. It’s an absolute dream come true. 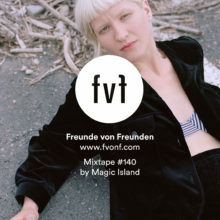 The girls doing it are amazing, it’s very female positive, and so much fun!” And after sampling the absolutely delicious treats at the FvF Apartment, we’ll definitely drop by her new station. Throw all dry ingredients into the blender, so the nuts, seeds and matcha blend together. While this is happening you can soak the dates in boiling water to soften them up. Once the nut mix is blended into a fine powder, pour it into a bowl and put to one side. Next, throw the dates into the blender until they are all mashed up. Once it’s all blended add it to the rest of the mixture and give it a really good mix together with a spoon. It should all start to clump together. Then you just have to spoon out little lumps and roll them into balls. Put them in the fridge to set for an hour or two then you have the perfect little power energy balls! Preheat your oven to 180C. Cut up one and a half of your apples into chunks and put them into a blender with the 1/2 cup of water and blend together until they are totally pureed. Then add the dates and blend. You may need to soak your dates for 10 minutes in boiling water to soften them up a little but you want to make a paste-like mixture out of it. Then pour it into a bowl and grate the other apple into the mixture and give it a good stir. Put your chia seeds into a glass on the side and mix in hot water, you want to add 4 parts water to your seeds so around 8 tbsp and let them soak to absorb all the water, this should take around 10 minutes. Warm water helps to speed it up. Pour in the cranberries and the oats and mix them all in together. Add the sprouted chia seeds to the mixture to bind it together. Then take your oven tray and line it with baking paper and pour the mixture in. At this point, you decide how many you want, how thick you want to make them etc. I like quite thick bars but this is up to you. Use the back of a spoon to flatten it all out. Pop them in the oven for around 25 minutes. Once they come out of the oven leave them in the pan for 5 minutes before taking them out and placing them on a cooling rack. This is really important because the bottom will go soggy if you don’t allow it to cool properly. Once they have cooled down you can cut them into bars. Blend the pecans alone so they grind into a flour. While you do this, place your coconut oil in a pan on the heat so it melts completely. Put the ground pecans in a bowl and mix in the maca and raw cacao powder. Blend the dates and melted coconut oil together until all the big lumps are gone (it won’t be smooth but you just don’t want any “big bits”). Then mix it all together and place in a dish, lined with greaseproof paper. I like bread tins because they are a good size for squares or bars. Put it in the freezer for an hour to harden then you can cut and serve. Blend the dry ingredients all together (nuts and seeds), then place in a bowl and put to one side. Put the coconut oil over the heat so it melts into a liquid. Blend the figs with the raspberries. Then add the coconut oil. Add this to the bowl and give it all a big stir till it starts to form a big clump all together. If you have a super strong blender you can put everything in together but most household ones handle the dry and wet ingredients better when they are separated. Put some desiccated coconut in a bowl, break little clumps from the mixture, roll into a bowl and cover in the coconut. Then place on a tray with greaseproof paper on it. Once you’ve finished making the balls, place them in the fridge and leave them for an hour or so to set. Thank you so much Izzy for joining us at the apartment and preparing such a wonderful array of snacks. Get the full story on My Goodness, and find out more about Izzy’s upcoming project and get the chance to support it here.